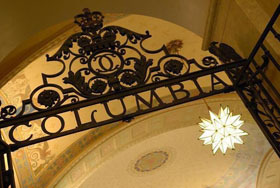 The Columbia University Libraries currently have trial access to OpenEdition’s Freemium platform for e-books until December 31st, 2014. OpenEdition Freemium is a program for the development of open access academic publishing in the humanities and social sciences. This partnership aims to create an innovative and sustainable economic model. All income generated by the program is reinvested in the further development of open access academic publishing. The platform disseminates open access content – journals, books, research blogs and academic announcements – complemented by premium services and formats available exclusively to institutions and their users. Freemium content is available to all Internet users in open access HTML format, while users of partner institutions (like Columbia) can download the PDF and ePub formats. No DRM or download quotas are applied. The materials are mostly in English and French but include other European languages and cover broad disciplinary areas in the humanities and social sciences. To access this platform, go to http://freemium.openedition.org/library. For any questions or feedback, please contact Meredith Levin, mjl2209@columbia.edu, Western European Humanities Librarian. This entry was posted in Books, Databases on October 16, 2014 by Meredith Levin.